We’ve all been there: standing at the airport newsstand, desperately searching for a snack to get us through the upcoming flight. Sometimes we find something reasonable (at least until we see how much it costs). Sometimes we’re not even that lucky. 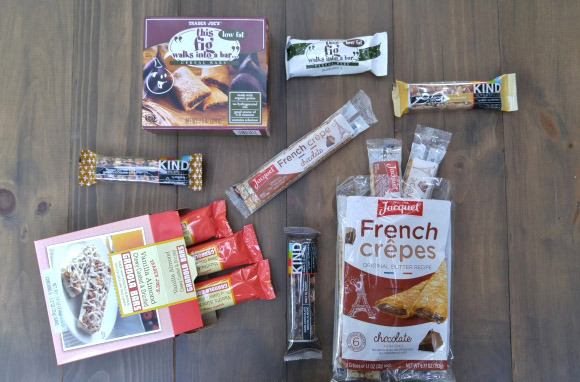 The same can be said for in-flight snack boxes: It’s rare to want everything inside one, so you’re essentially paying for things you won’t eat (or won’t enjoy). But there’s a solution to all of this. Skip the airport snacks and bring your own instead. 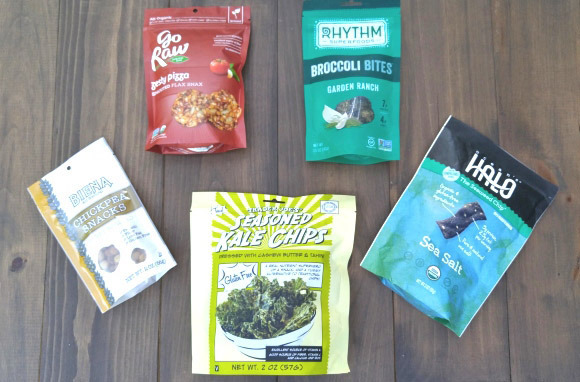 Here are 10 snacks for all types of food fans that cost less than those from the airport, can be tailored to your tastes, and will save you any pre-flight stress at the newsstand. Oh, and they all comply with the TSA’s stringent 3-1-1 rule, too. Author’s note: I found these items at Trader Joe’s and Whole Foods, but other grocery stores may carry similar products. 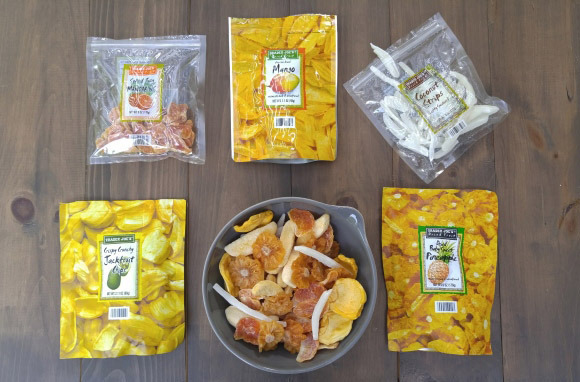 Dried fruit is a refreshing and healthy snack, and the variety available today makes it a snap to create something amazing. I like to buy several different types of fruit and then make my own mix, so I get a little bit of everything I love. The tropical mix (as seen above) is simple and will make your flight feel easy-breezy, but have fun mixing whatever types of fruits you fancy. This mix made enough for several flights, so it only ends up costing a few dollars per flight. One of the greatest road-trip snacks has evolved a bit since its humble gas station days. Nowadays beef jerky comes in a variety of meat and with different seasonings—all of which are perfect for a long flight when you want something a bit more substantial than the usual light-snack fare. Choose from buffalo, turkey, lamb, chicken, and even bacon for your favorite flavor. 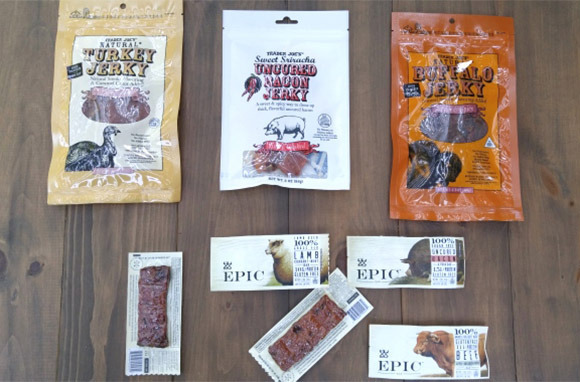 The Whole Foods Epic Bars are a neat twist on the traditional jerky, as they include fruit and unique spices, are easy to pack, and taste more like a meal. Mom always said to eat your veggies, and now it's easy to do that even at 30,000 feet. You can find almost any type of veggie or bean that has been dehydrated, dried, or roasted and seasoned for your snacking pleasure. Don't believe me? How about kale, broccoli, chickpeas, sprouted flax, or seaweed? And these are just a few of the many options out there. You'll feel good and your taste buds will thank you for mixing it up a bit. This classic combination will cost you when ordered in-flight, but why pay high prices when you can pack your own cheese and crackers? 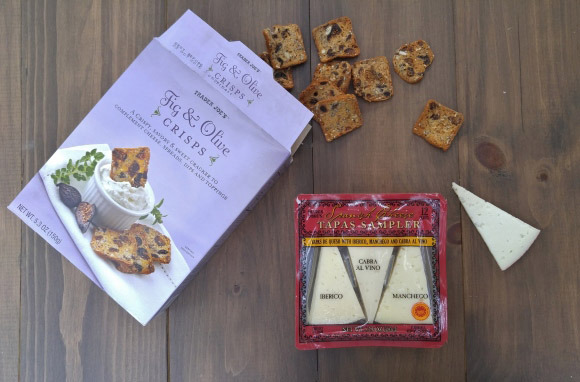 Trader Joe's makes it simple to do with its Spanish Cheese Tapas Sampler pack that includes three different types of cheeses, each sliced thin for easy snacking. All you need is a suitable cracker, which you can pack in a small zip-top bag. And since cheese is best served at room temperature, you don't need to worry about keeping it cold until the flight. Plus, the entire platter costs less than a glass of airline wine. Early morning flights are already enough of a pain without having to think about what to eat. Thankfully, there are a slew of easy-to-pack options for on-the-go breakfasts. Granola bars have always been a reliable standby, but the dried rectangles of our past have gotten a new lease on life and are jam-packed (sometimes, literally) with flavor and toppings. You can also skip the bar and opt for something a bit fancier like the individually wrapped chocolate crepes pictured above. There really is something for everyone when it comes to the most important meal (or snack) of the day. 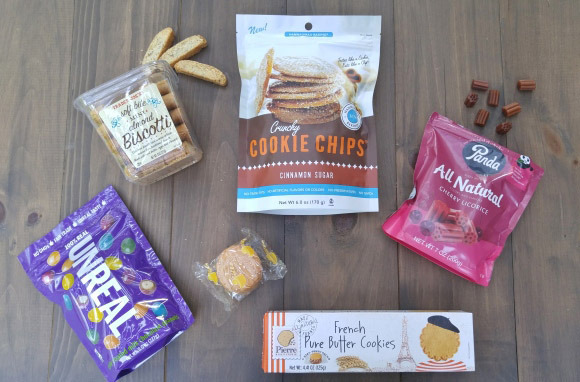 Nothing cures a dull flight like a little bit of sugar, and these easy-to-pack snacks are sure to put a little pep in your step. Enjoy mini biscotti, thin cookie crisps, or small packs of four butter cookies with your afternoon coffee or tea. Or, make your in-flight entertainment even better with better-for-you chocolate-coated peanut candies or red licorice. I like to buy the snack-sized zip-top bags and fill them with several of my favorite treats for when I need something sweet. 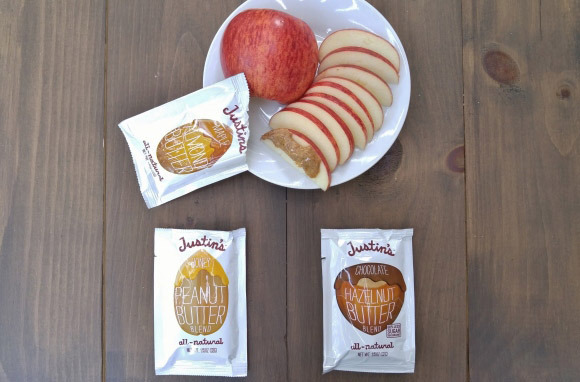 This timeless pairing of apple and peanut butter makes an ideal snack for those wanting something healthy and fresh on their flight. These TSA-compliant individual pouches (1.15 ounces) of nut butters make it easy to snack without a bulky jar or knife. Keep your apple slices in a separate zip-top bag or simply pack a whole apple and spread the nut butter on it before you bite. Bananas are another great and easy-to-transport option for fruit, but you can also opt for your favorite cracker if you don't want to pack something that can spoil. Editor's Note: Keep in mind that allergies to peanuts and other nuts are common and can even be deadly in an enclosed environment such as a plane. You might want to check with your flight attendant and/or neighboring passengers to make sure there isn't anyone nearby with a severe allergy before you open any snack item containing nuts. Related: Is It OK to Bring Peanuts on a Plane? If it's good enough for scaling mountains, it's good enough for flying. Trail mix may be the go-to snack for many, but it can also be disappointing when it contains unwanted ingredients. There are two ways to combat this. 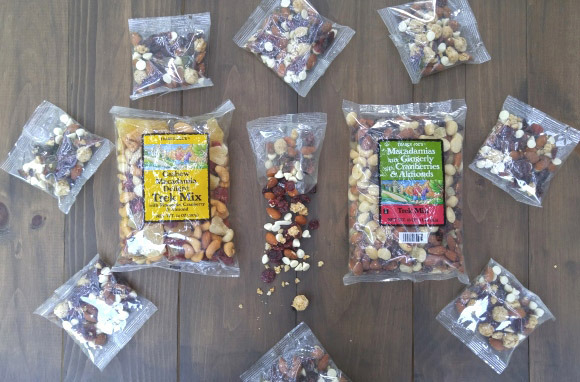 Trader Joe's sells a wide variety of different mixes, each including an array of fruits, nuts, candies, chocolate, yogurt, granola, and so on. Chances are good you'll find something you like. They also offer some mixes packaged individually for easy transport. Whole Foods, on the other hand, offers a Make-Your-Own Trail Mix bar ($8.99/lb. ), which allows you to create your ultimate mix for the flight. No sneaky filler peanuts for you. Chocolate cravings are no laughing matter, especially when you're stuck 30,000 feet in the air. Thankfully, you can avoid these situations by keeping a quick bite close by. Since chocolate bars are so personal and everyone has their favorite, I'll instead share some neat alternatives to the typical. These chocolate wedges from Trader Joe's make it so simple to get your chocolate fix with an easy-to-carry tin and 16 individual wedges. 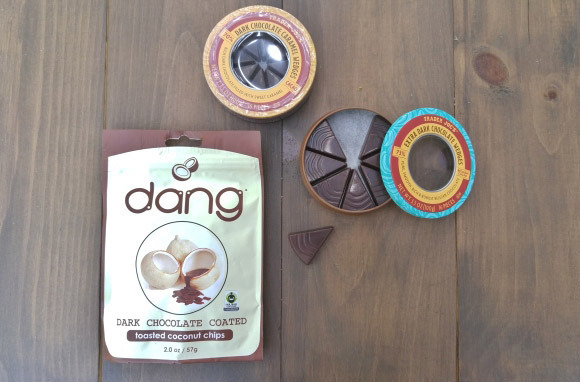 On the other hand, chocolate-covered anything is also a fantastic way to kill the craving, and these dark-chocolate-coated coconut chips are sure to take you someplace tropical. There's no denying that potato chips make a great snack, but you can do better for your flight. 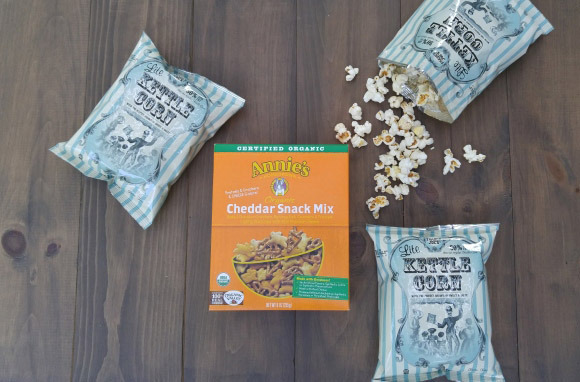 Turn on your favorite flick and break out one of these individual bags of kettle corn. Each bag is more than enough for a filling snack, and you get six in a pack. This cheddar snack mix is also a great way to shake things up a bit during your favorite shows. It brings the cheese and crackers into one box and is way better than any standard airline snack. These, however, are just two ideas for chip alternatives. Have fun with the flavors and your flight will be smooth sailing (or flying). Foreign Fast Food Chains We Want in the U.S.
Kate H. Knapp also covers food-related topics for Eat Boutique, as well as recipe tests for major online publications and cookbooks. Follow her on Instagram @katehknapp and Twitter @katehknapp.